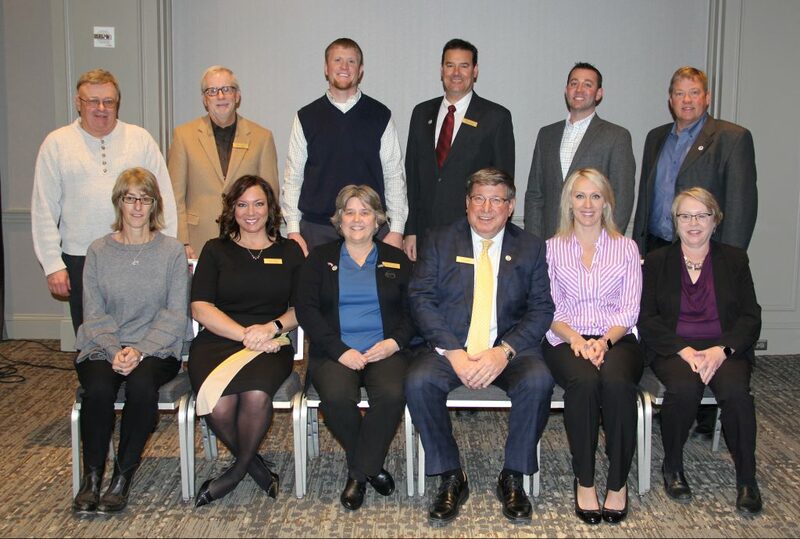 The 2019 executive board members officially begin their terms in March. Board members are elected at the Minnesota Pork Board Annual in January at the Annual Minnesota Pork Congress. Board members are elected to three-year terms, with a maximum of 3 terms served consecutively. In order to be a board member, each person must have sold pigs in the last calendar year or represent a farm that has contributed to the pork checkoff in the last calendar year. The Minnesota Pork Board executive board oversees the investment of pork checkoff dollars on behalf of Minnesota’s 3,000 family pig farmers. Checkoff dollars are used to make progress in the areas of research, promotion, and education. The USDA oversees checkoff investments ensuring checkoff dollars are not used to influence public policy. With board direction, Minnesota Pork Staff work to create and implement programs that meet the needs of Minnesota’s pig farmers and build opportunity for future success of the Minnesota pork industry. While the Minnesota Pork Board receives a portion of total checkoff revenue from the sale of market pigs raised in Minnesota, the majority stays with the National Pork Board. Currently, Patrick FitzSimmons represents Minnesota on the National Pork Board’s board of directors. Click here to learn more about the National Pork Board.